During this workshop, you will learn about The Great Sunflower Project. This citizen science project helps you better understand the cause and effect of the decline in bee populations. 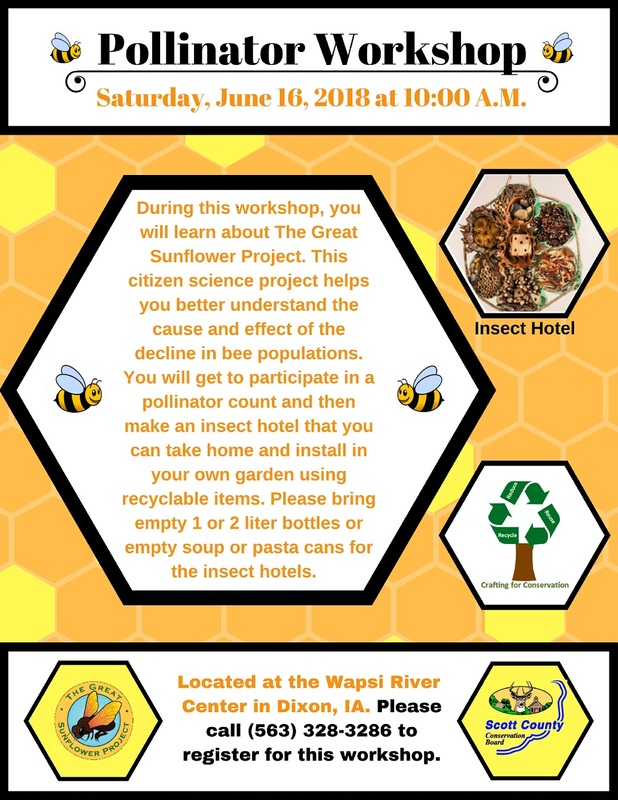 You get to participate in a pollinator count and then make an insect hotel that you can take home and install in your own garden using recyclable items. Please bring empty 1 or 2 liter bottles of empty soup or pasta cans for the insect hotels.